They cumulatively tally an impressive 150-plus years of experience at the Center. All are college graduates, five from Brigham Young University-Hawaii. Five represent the cultures of Tonga, Samoa, Aotearoa and Fiji. All have strong ties to Polynesia. Five worked their way through BYU-Hawaii (BYUH) at the PCC. ■ P. Alfred Grace, President and Chief Executive Officer, is a New Zealand Maori. He arrived here in 1983, funding his education on a BYUH rugby talent award and also as a student worker in theater, guides, reservations and sales. Maybe it was his charming Kiwi accent, but there’s no question he had a gift; and when he graduated with a degree in tourism management, the Center had already asked him to join their full-time sales team. Grace advanced through the ranks, negotiating with tour companies and representing the Center in Waikiki and around the world. By 2008 the PCC picked him as its first-ever Chief Operating Officer; and when PCC’s top officer retired in 2013, the Board of Directors named Grace to the number-one position. ■ Jarod Hester, Chief Operating Office / Chief Financial Officer: Born in England but raised in New Zealand, Hester graduated from Auckland University in Commerce, and for the next 12 years worked in Church-related finance, including nine years of extensive travel throughout the South Pacific islands. He joined the Center in 2013. 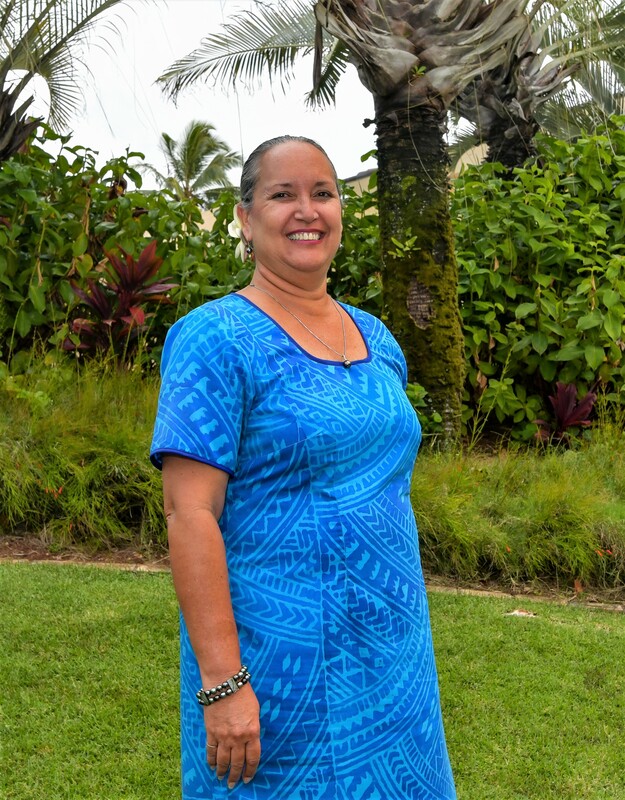 ■ Delsa Atoa Moe, Vice President of Cultural Presentations: Born and raised in Samoa, Moe came to Laie in 1978, was a PCC student-worker and after graduating from BYUH, PCC quickly offered her a full-time position. Her talents have been utilized throughout the Center, serving first as an island demonstrator and dancer, then working her way up through management in the Sales and Cultural Presentations divisions. Just last year the Center celebrated Delsa’s 40th year of employment. 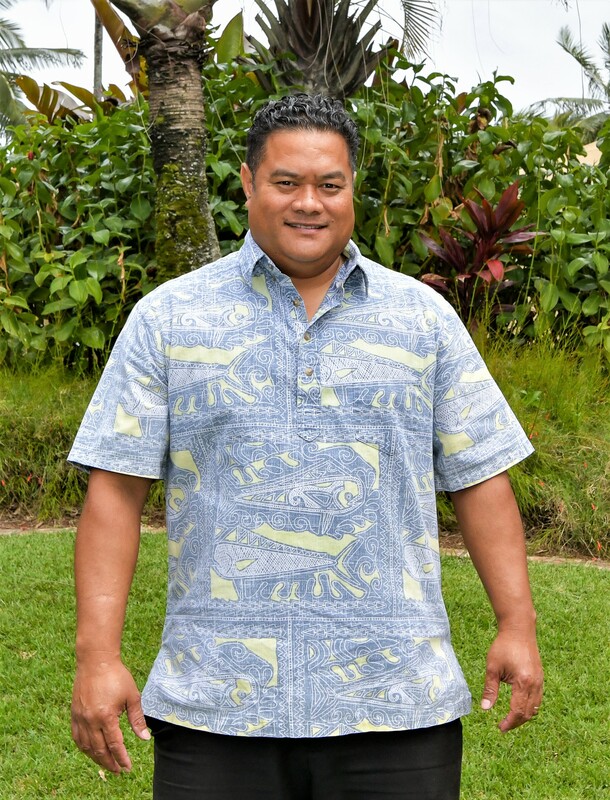 ■ Fifita Finau Unga, Vice President of Food & Beverage, originally from a small island in Haapai, Tonga, Unga first came to Laie in 1976. Like thousands before and since, she was a PCC student-worker, serving first as a dancer and then as a demonstrator within the Tongan Village. After graduating from BYUH in 1982, she joined PCC food services full-time. 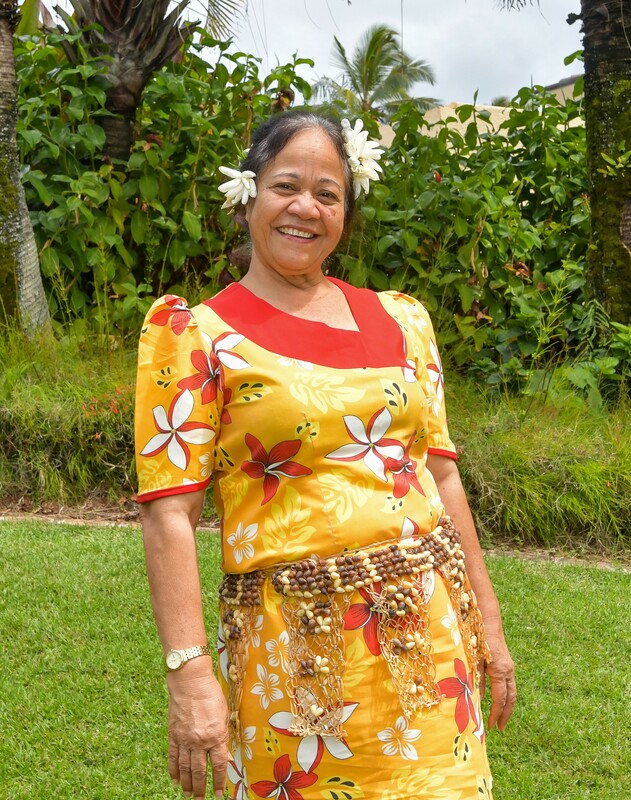 One of the longest serving employees, Fifita was recognized for her leadership skills, by being promoted to the position of Vice-President of the department in 2015. She now heads one of the largest divisions at the Center with 300-plus workers serving hundreds of thousands of meals a year. 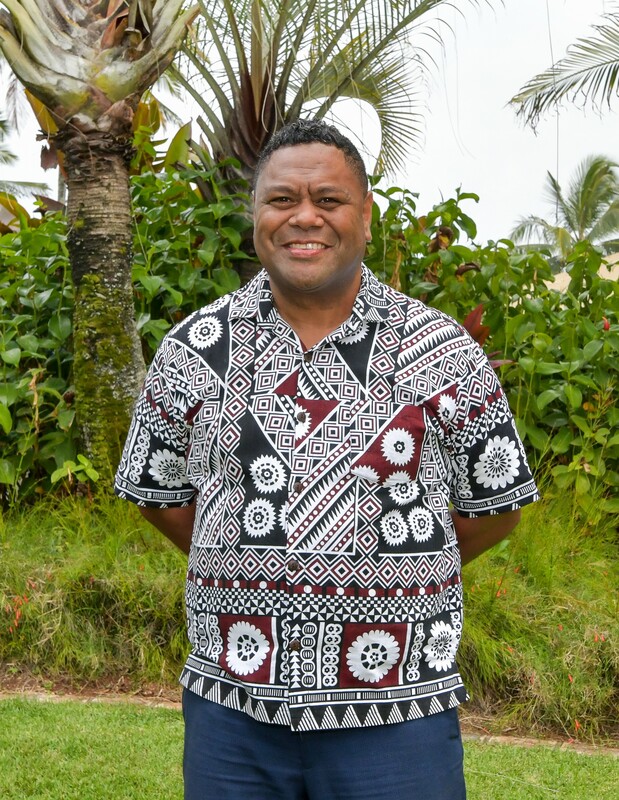 ■ Jerome Uluave, Vice President of Facilities Management, is of Tongan and Samoan heritage. He grew up in Laie, first worked at the PCC as a teenager, and after graduating from Kahuku High, went to Utah to earn a degree in construction management from Utah Valley University. 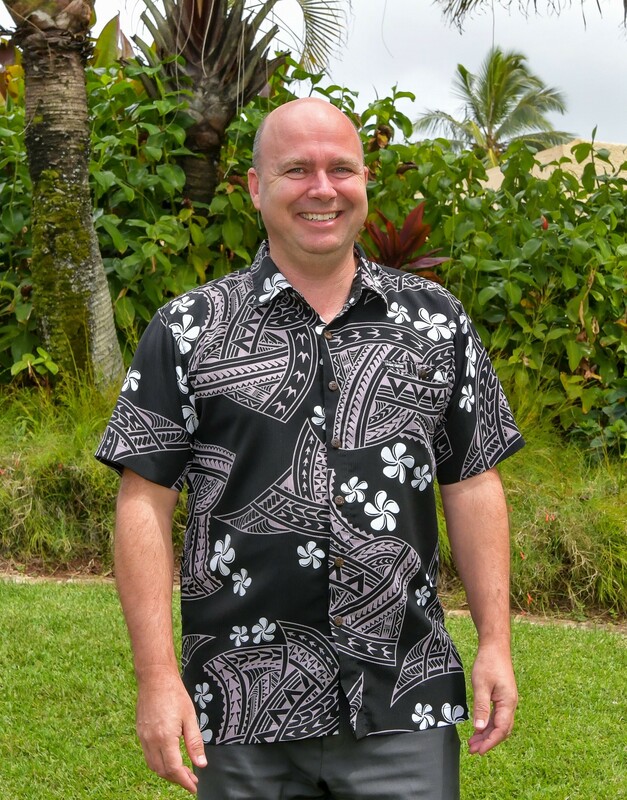 Returning to Hawaii, he supervised construction in Honolulu and rejoined the PCC in 2014 as a project manager. He now leads the Center’s large “blue-shirt” team of full-time workers and skilled senior volunteers in maintaining and developing all of the Center’s Physical Facilities. 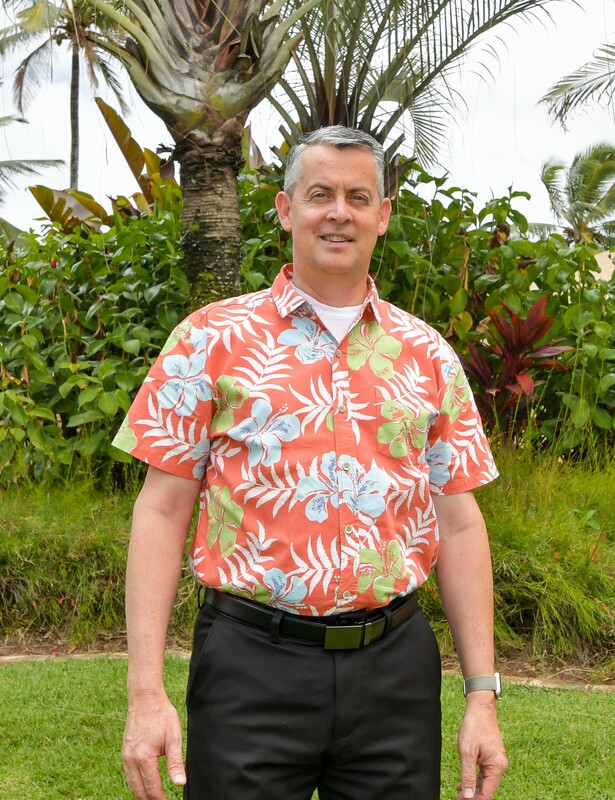 ■ Eric Workman, Executive Vice President and Chief Marketing Officer, first came to Oahu as a baby. Although he has lived many places, the Center has continued to call him back to the little town of La’ie. It was during his college years at BYU-Hawaii that he met and married his wife, Anne, a lifelong resident of La’ie. He became a student-worker in video sales in his senior year. Following graduation, Workman and his young family spent three years working in Kobe, Japan. The PCC hired him back in the 1990s as senior manager for retail sales until he returned to school to acquire his Masters in Business Administration at BYU Provo. Dow Chemical hired him following his graduation where he became a Marketing Director, and eventually their Global Marketing Excellence Leader, serving 12 years at their Michigan headquarters. When Alfred Grace was named President of the Center, one of his first moves was to invite Eric to return to the Center. 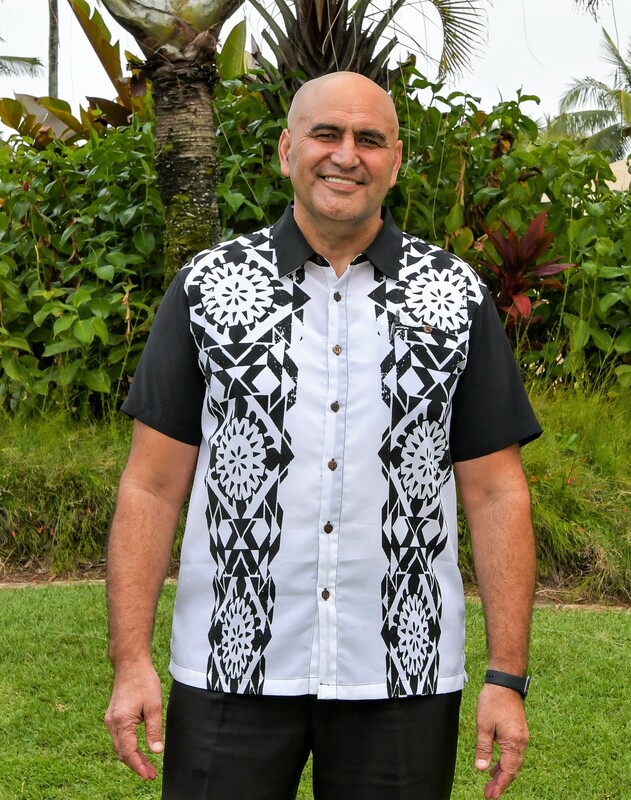 ■ Tai Vuniwai, Vice President of Human Resources, was born in Suva, Fiji, but moved to Laie as a boy when his parents attended BYU-Hawaii — and worked at the Polynesian Cultural Center. The family moved on to the Bay Area in California, but after high school Vuniwai returned to Laie to study communications at BYU-Hawaii — and be a PCC student-worker. After graduating, he earned a masters in HR from the University of Hawaii, worked for three large Hawaii companies, and most recently for five years headed up the Hawaii office that manages health and benefit plans for PCC and BYUH employees. 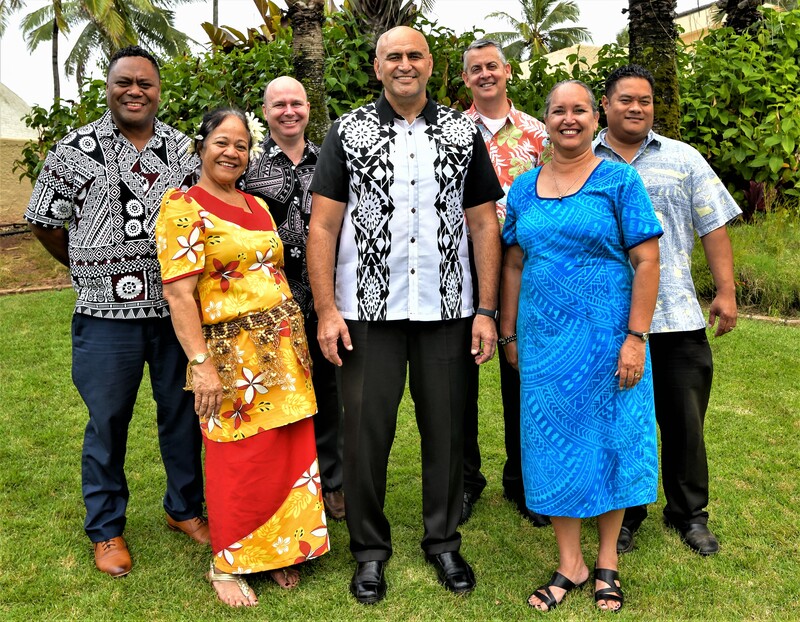 When John Muaina, the Center’s long-term VP of HR retired in 2017, Vuniwai was the “right person” to replace him. Story by Mike Foley, who has been associated with the Polynesian Cultural Center for over 50 years. He had a long career in marketing communications, PR, journalism and university education before becoming a full-time freelance writer and digital media specialist in 2002. Foley learned to speak fluent Samoan as a Latter-day Saint missionary before moving to Laie in 1967, and he still does. He has traveled extensively over the years throughout Polynesia, other Pacific islands and Asia. Though nearly retired now, Foley continues to contribute to PCC and a select few other media. I was so excited when I saw the picture of Delsa Atoa. I lived in Samoa in late 69 thru 71 or 72. My grandparents taugh at CCWS. We were friends during that time. I love the Polynesian Cultrual center. We spent several months in Hawaii on our way back to the mainland. I have always wanted to go back and spend sometime there. Love that you share. Thank you. Wanted to come to Hawaii most my life for my retirement gift to me I was able to go yo Hawaii! I purchase the next to the top package for my Son,daughter in law and grandson and myself. We totally enjoyed the whole day !!! All the shows the food, the people everything was beautiful. I am 70 and my father come to Hawaii years ago and he told me his favor part of his trip was the Cultural Center also. Loved our guide Anu. Thank you for such an awesome experience !! So happy you came to visit us. We hope you get the opportunity to come. Thank you for your support!